Take it from a woman who has had both good and bad marriages — finding the right one is worth the mistakes. Checking out the physical/mental/emotional/logistical match up before a ring goes on is important to most couples these days. But they’ll have more of a shot at happily ever after if they consider the spiritual “fit” between the bride and groom as well. What does that mean? It means that your life lessons are compatible. It means that you understand the idea of the “60-60 marriage,” in which each partner goes that little bit more than halfway for the other; that extra 10% overlap is what keeps folks together in the tough times. It means that you understand that marriage is a constant work in progress, and part of the contract means that you will grow together, support each other’s growth, and agree that marriage will change both of you. Even the couples married 25 or 50 years agree that they are not the same folks who stood at the altar, made vows under the chuppah or signed the niqqah; both parties have changed… hopefully for the better. Elsewhere in this section, I’ve given you a card spread for the logistics of the wedding day. But this spread will speak specifically to the intangibles that should be considered when deciding whether the one who has your heart is really your best life-partner as well. I’m going to use John Grey’s oracle deck, THE JOY OF RELATIONSHIPS in our sample reading. It’s my favorite deck when it comes to Karmic discovery and relationship questions. 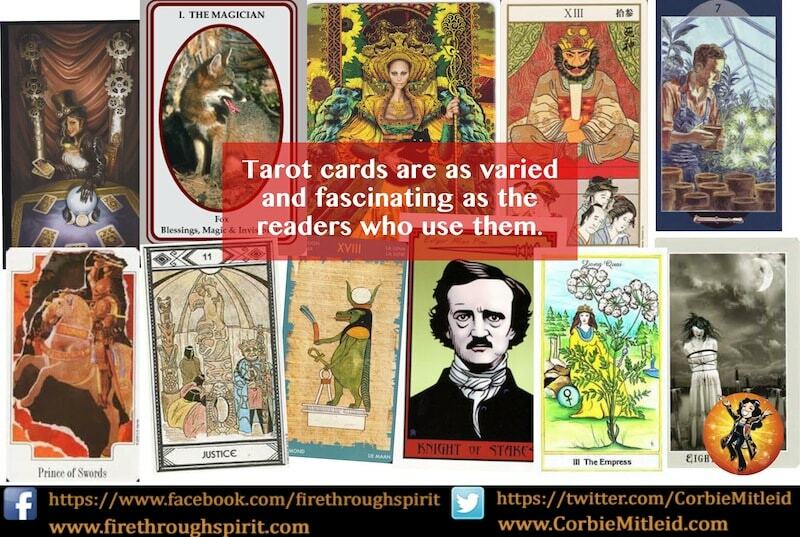 (Remember, however, that this spread will work with any Tarot or oracle deck of your choice.) Again, we’ll be looking at our hypothetical couple from the logistics spread, Amy and Rory. The first card, Polarities, I always see as speaking of someone who is passionate about life; there is no “ehh, whatever” about this person. Amy is bringing into this marriage a juiciness and a desire to be and do and taste life in a way that will energize Rory. The second card, Wholeness, tells me that Rory is not a “Fix it project” the way some marriages can be. What he brings into the marriage is a man who knows himself, is not scarred or damaged, and is completely ready to enter into a marriage contract. The third card, Facts, says that Amy can learn a bit of objectivity from Rory. Facts means seeing things not as we’d like them to be, not as we’re afraid they might be, but simply as they are, so we can work with them fastest and in the most clear manner. The fourth card, Ownership, encourages Rory to be clear to the entire world about who he is, to own his mistakes and double backs, and never doubt that whatever road he takes, it’s of his making. That is one of Amy’s specialities, and is a good lesson for him to learn. The fifth card, Harmony, speaks about the specific task, challenge or lesson the two souls agreed to tackle together in this lifetime. What the card looks like is important here, to understand the true meaning of Harmony: it shows an ancient lyre, held up by not two hands, but three. I always refer to that as “the you hand, the partner hand, and the “Us” hand” — meaning that a couple has to work together as a united front on many occasions, and that is what will be most important for Amy and Rory as they travel through their lives. The sixth card, Full Spectrum, is a gift from their spirit guides to tell them that their lives WILL NOT be boring! They will experience every possible thing that a couple can experience together — highs and lows, joys and despairs, triumphs and devastation. But they will always experience it together and come out the stronger for it. The final card, Lightness, is the best way for them to begin this marriage. It shows two kites with great big hearts floating in the clouds. In other words — make sure the honeymoon is easy, light, and gives them plenty of opportunities for laughter, to start out their marriage in the best and happiest of ways. Knowing what the spiritual road has in store for a marriage can strengthen it from the get-go. It’s a great spread to use for those two special people you know. I've been a psychic, medium and channel since 1973, and am honored to be featured in Robert Schwartz’s breakthrough series, YOUR SOUL’S PLAN and YOUR SOUL’S GIFT. My professional credentials include Certified Professional Tarot Reader, membership in the American Tarot Association and ordination as a nondenominational minister through the Sanctuary of the Beloved. I’m also the author of CLEAN OUT YOUR LIFECLOSET and THE PSYCHIC YELLOW BRICK ROAD. I see readings as a sacred opportunity and responsibility to help you get the very best out of your life with every tool we can create for you. When we work in a session together, co-creating your best future, it’s energy well spent and what you learn about yourself and discover about your future possibilities and opportunities will benefit you for months and years to come. Book your Psychic, Tarot & Channeled Readings today! Sign up for Corbie's Newsletter! FLIGHT PATTERNS: Corbie’s regular newsletter with news, deals, and discounts!